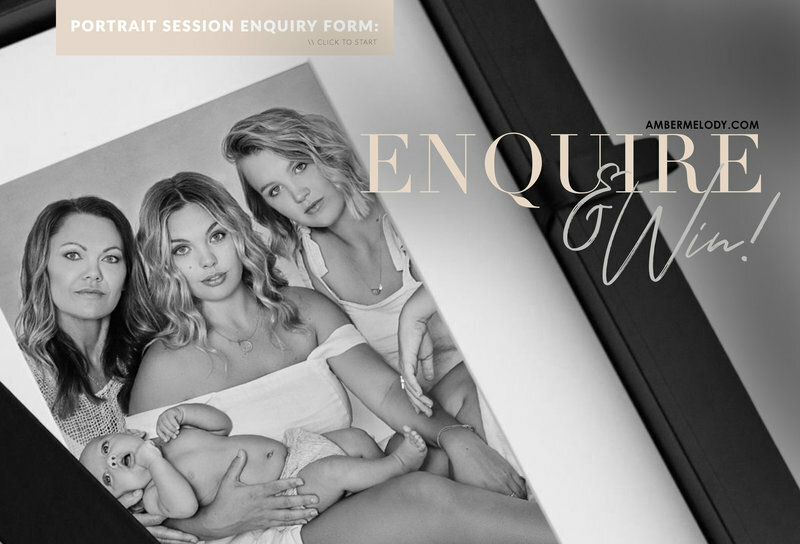 Amber Melody Portrait Studio ENQUIRE + WIN! To celebrate the launch of Amber Melody Portrait Studio we are giving away a $100 ‘Mini Gift Card’ to everybody who fills out our Portrait Session enquiry form! AND one lucky person will win our ‘Classic Gift Card’ valued at $1000! To celebrate the launch of Amber Melody Portrait Studio we are giving away a $100 ‘Mini Gift Card’ to everybody who fills out our Portrait Session enquiry form (below) Just click to start! One lucky person will also win our ‘Classic Gift Card’ valued at $1000! $100 GIFT CARD GIVEAWAY // $1000 GIFT CARD PRIZE!